The new iPhone 6S and 6S Plus smartphones will go in sale next week, prices for the new iPhones will start at $649 for the iPhone 6S and $749 for the 6S Plus. The 64GB iPhone 6S Plus will cost $749, this is for an unlocked handset without a contract with one of the various mobile carriers. According to a recent report, the parts of the new iPhone 6S cost Apple around $234, this is just for the parts of the device and does not include assembly and distribution costs. 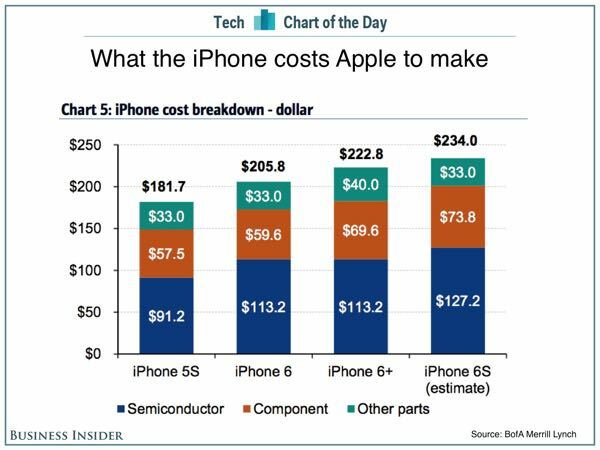 The major cost of the iPhone 6S parts are around $127 for semiconductor parts, which includes $36 for cellular radios, $25 for the Apple A9 processor, $22 for the fingerprint sensor and other sensors and $20 for the 64GB of flash storage. The screen, camera, battery cost Apple around $73 in parts and the casing for the device cost around $33, this means a total parts cost for a 64GB iPhone 6S is around $234. That means that Apple is making a profit of around $515 for each 64GB iPhone 6S it sells, this is before distribution and assembly costs, even with these added in, Apple will make a healthy profit on each of its new iPhone it sells. 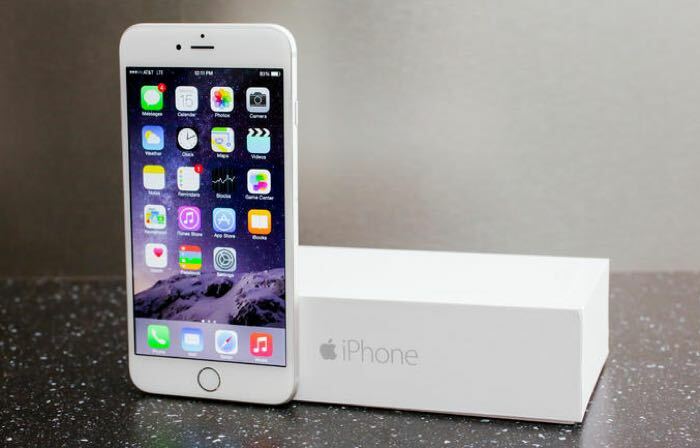 The iPhone 6S and 6S Plus will go on sale on the 25th of September, which is next Friday, the handsets are expected to be even more popular than last years iPhone 6.